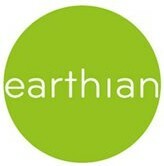 earthian: Supermarket Tomatoes Are Bad! Excerpted from the new book "Tomatoland: How Modern Industrial Agriculture Destroyed Our Most Alluring Fruit"
In Vermont, where I live, as in much of the rest of the United States, a gardener can select pretty much any sunny patch of ground, dig a small hole, put in a tomato seedling, and come back two months later and harvest something. Not necessarily a bumper crop of plump, unblemished fruits, but something. When I met Monica Ozores-Hampton, a vegetable specialist with the University of Florida, I asked her what would happen if I applied the same laissez-faire horticultural practices to a tomato plant in Florida. She shot me a sorrowful, slightly condescending look and replied, "Nothing." "There would be nothing left of the seedling," she said. "Not a trace. The soil here doesn’t have any nitrogen, so it wouldn’t have grown at all. The ground holds no moisture, so unless you watered regularly, the plant would certainly die. And, if it somehow survived, insect pests, bacteria, and fungal diseases would destroy it." How can it be, then, that Florida is the source for one-third of the fresh tomatoes Americans eat? How did tomatoes become the Sunshine State’s most valuable vegetable crop, accounting for nearly one-third of the total revenue generated? From a purely botanical and horticultural perspective, you would have to be an idiot to attempt to commercially grow tomatoes in a place like Florida. The seemingly insurmountable challenges start with the soil itself. Or more accurately, the lack of it. Although an area south of Miami has limestone gravel as a growing medium, the majority of the state’s tomatoes are raised in sand. Not sandy loam, not sandy soil, but pure sand, no more nutrient rich than the stuff vacationers like to wiggle their toes into on the beaches of Daytona and St. Pete. "A little piece of loam or clay would go a long way," said Ozores-Hampton. "But, hello? -- this is just pure sand." In that nearly sterile medium, Florida tomato growers have to practice the equivalent of hydroponic production, only without the greenhouses.